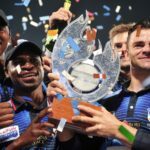 Watch highlights of last season’s CSA T20 Challenge final, which saw the Titans beat the Warriors to be crowned champions. 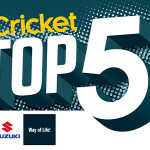 We take a look at the top five performers from the 2016-17 CSA T20 Challenge campaign that saw the Titans crowned as champions. We rank the top performers of this year’s T20 Challenge. 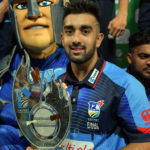 Tabraiz Shamsi’s first wicket in his third over is the Play of the Day as the Titans defended their T20 Challenge trophy on Friday. Titans seamer Malusi Siboto had gone for 10 runs in his first over of the T20 final against the Warriors when his captain threw him the ball for the vital last over. The Titans held their nerve to defend 155 and beat the Warriors by six runs, retaining the T20 Challenge title, at Centurion. Farhaan Behardien smashed 55 runs off just 15 balls to give the Titans top spot and a home final in the CSA T20 Challenge. 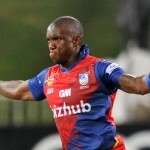 Eddie Leie tore through the Cobras line-up to put the Highveld Lions into the CSA T20 play-offs. 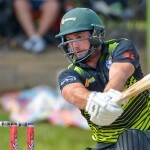 JJ Smuts’ career-best 107 not out led his side to a seven-wicket victory in their T20 Challenge clash against the Dolphins at Buffalo Park on Wednesday. The Cobras chased down a target of 179, set by the Dolphins, to achieve the highest T20 run-chase at Kingsmead on Sunday. Andrew Birch’s five-for condemned the Titans to their second CSA T20 loss in a row; beaten by six wickets by the Warriors at Centurion. 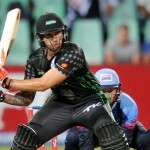 A brilliant 62 from Cameron Delport set up the Dolphins for a six-wicket win over the Titans in the CSA T20 Challenge in Durban. Christiaan Jonker smashed 49 off just 18 balls to take the Warriors across the line against the Lions, winning their CSA T20 Challenge by six wickets. Farhaan Behardien led the way for an emphatic 58-run victory for the Titans over the Kevin Pietersen-boosted Dolphins in the CSA T20 Challenge. 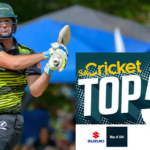 A quick fifty from Jon Jon Smuts underpinned a seven-wicket win for the Warriors over the Dolphins in the CSA T20 Challenge.